Super smooth surface, Triple Resin Processing, UV-R manufacture, very thin dia., low stretch, low memory. 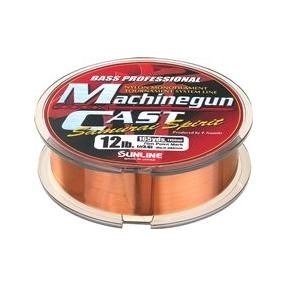 MachineGun cast is a tournament fishing line giving you the best mono available and the best chance of success. Dia. to Dia. it is the best mono available!